The opened (blackhead) and closed (whitehead) comedones on face, chest, and back are a result of the obstruction of the metabolism of skin, and the infection of the retained sebum in the pores and subcutaneous tissues causes facial troubles. In serious cases, deep pus cysts, partial damage of the subcutaneous tissues and nodules may blemish the facial features. The metabolic waste, and the above symptoms may easily emerge if the health of the skin is not working in harmony with the metabolic change. Herba Dendrobii, Flos Lonicerae, Flos Chrysanthemi Indici, Radix Ampelopsis, Margarita, Frutus Tribuli etc. 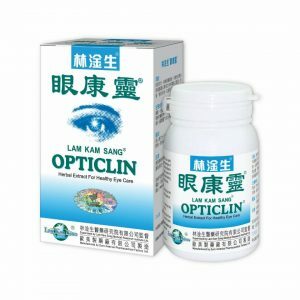 Every capsule of Lam Kam Sang PIMPLIN contains 500 mg extract of the above Chinese medicines. 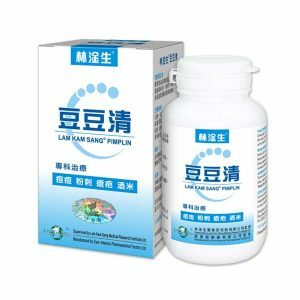 Lam Kam Sang PIMPLIN effectively improves the blood circulation and metabolism of the affected parts of the skin and its inner layers, eliminates pimp**, blackheads and whiteheads, and restores the natural beauty and health of the skin with excellent effect without causing any side effect. 1. For Grade I – Mostly opened (blackhead) and closed (whitehead) comedones with an occasional worsened spot, the symptoms may disappear in 20-50 days of treatment and a continuous treatment for another 30 days for consolidation of the efficacy. 2. For Grade II of – A large number of closed (whitehead) comedones, the symptoms may disappear in 60 days of treatment and a continuous treatment for another 30 days for consolidation of the efficacy. 3. For Grade III – A large number of closed (whitehead) comedones and worsened spots, the symptoms may disappear in 60-90 days of treatment and a continuous treatment for another 40 days for consolidation of the efficacy. 4. For Grade IV of – Cystic form, with deep pus cysts, scar and nodule formation. If the symptoms are mild in extent, they may disappear in 90-120 days of treatment and a continuous treatment of 60 days is required for repairing the skin and restoring its features. If the scar and nodule formations are extensive with bruise blocks, over 90% of the patients can achieve obvious improvement in 90 days of treatment, and complete recovery is possible on a continuous treatment. a. Do not eat the following foods: beef (including beef ball, beef soup), chicken, lamb, wild fowls and animals, sausages, cheese, shrimp, crab, fishes without scale or not fresh enough, shellfishes (such as clam, oyster), glutinous rice, taros, nuts (such as chestnut, peanut, cashew nut, pistachio nut and watermelon seeds), mango, durian fruit, chocolate, candy, canned foods, deep fried or baked foods (such as French fries, corn chip, flake pastry, biscuit), cigarette, alcohol, pungent foods, nourishing Chinese medicine and so on. b. Do not stay up late: sleep before midnight and at least 7-hour sleeping is required. * The therapeutic efficacy stated above is based on long term clinical experience, but it cannot be treated as absolute guarantee since discrepancies may arise due to dissimilar physique of individual, potential disease, emotional instability, unhealthy habit, environmental pollution and other possible factors. For Treatment: 4 capsules each time, 3 times a day; 5-6 capsules in serious case, to be taken with water after meals. In case ofconstipation, takes the dosages before meals (it helps bowel movement if the stomach is empty). 1. Not suitable for pregnant woman. 2. 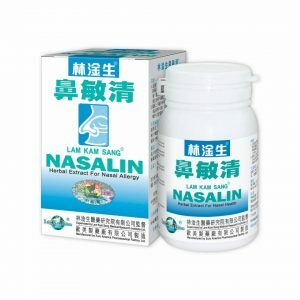 Stop the treatment temporarily in case of cold, fever, and acute bacterial infection.